There are a lot of people out there who think FWD is not fast and not fun. Well, as an owner of both FWD and RWD track cars, I can say that I have just as much fun in a FWD Yaris as a RWD Miata. One of the big reasons to hate on FWD is that you can’t drift it. Drifting is cool. Delicately balancing a car as it swings around a corner looks and feels awesome. It’s not always the fastest way around a track, but it definitely looks the coolest. I’m not a drifter and I don’t really understand drifting competitions, but I sure do understand the fun. In the next couple posts I’m going to share my thoughts on how to drift FWD in theory and practice. First off, drifting is simply oversteer. That term simply means that the front wheels have more grip than the rears. A better way to think about it is that the rear tires have little grip. There are several ways to create oversteer. Before getting to that, let’s talk about tuning. Most cars come from the factory with understeer built into the design. After all, it’s safer if cars don’t spin. To get your car to oversteer, you may need to do one or more of the following. Turn off traction and stability control if you have it. This nanny can totally kill all efforts to drift. Use very lopsided tire pressures. Fronts should be a little lower than usual and rears should be near maximum. Use different tires front and rear. Fronts can be a typical 200 treadwear sport tire while the rears should be hard and skinny all seasons. Tighten up the rear suspension with higher rate springs or/and anti-roll bar. Increase the toe in the rear. Normally, cars are aligned to be toe-in (negative) in the rear for safety, but toe-out (positive) helps oversteer. So now that you car can oversteer, how are you going to go about it? In powerful RWD cars you can mash the throttle and the tires will spin too fast to make good grip with the pavement. Hey, anyone can stomp on a pedal, that’s cheating. How else can you create oversteer? Lift – The simplest way to lose rear grip is to quickly lift off the throttle. This deceleration will shift the weight of the car forward on to the front tires. Since FWD cars naturally have more weight on the front, simply lifting off the throttle can induce oversteer. Try going around a circle at the limit of traction and then lift. You will oversteer. Brake – You can very quickly transfer weight forward by braking. Really, there isn’t much difference between lifting and braking in theory. In practice, they can feel very different because the brakes act on all 4 wheels while lifting works only on the drive wheels. Scandinavian Flick – If you want big drifts, lifting and braking may not be aggressive enough. Not only do you want to transfer weight forward, but also sideways. To do this, you steer in the opposite direction to load the weight on what will become the inside of the turn. Then turn as normal and the shift of the weight from inside to outside will help break traction. Decrease radius – The speed you go through a turn is determined by the turn radius. Larger radii have higher speeds. So if you turn the wheel tighter it has the effect of slowing you down. This transfers weight forward, which helps oversteer. But if you’re scubbing the front tires because you turned the wheel too much at the start, turning it more won’t do anything. Hand brake – Grabbing the hand brake shifts the weight forward and only applies rear brakes. It’s almost like it was made for drifting. That said, I generally don’t do it. It seems like cheating to me. Also, you could flat spot tires by locking them up. You can get all the oversteer you want without the hand brake. Clutch pop – Another technique I don’t do. Seems like it puts unnecessary wear on the car. On the other hand, try coasting around a corner and then pop the clutch. It can spin you (more so in RWD). If nothing else, this is a reminder not to pop the clutch. Once the back end of the car is coming around and you’re pointed farther into the corner than necessary (that’s oversteer), what next? First, you have to do some counter-steering to prevent the car from spinning. Frankly, this takes a lot of practice to know exactly how much. Second, don’t hit the throttle. This will transfer weight to the rear wheels and kill the drift. This is where FWD and RWD are really different. 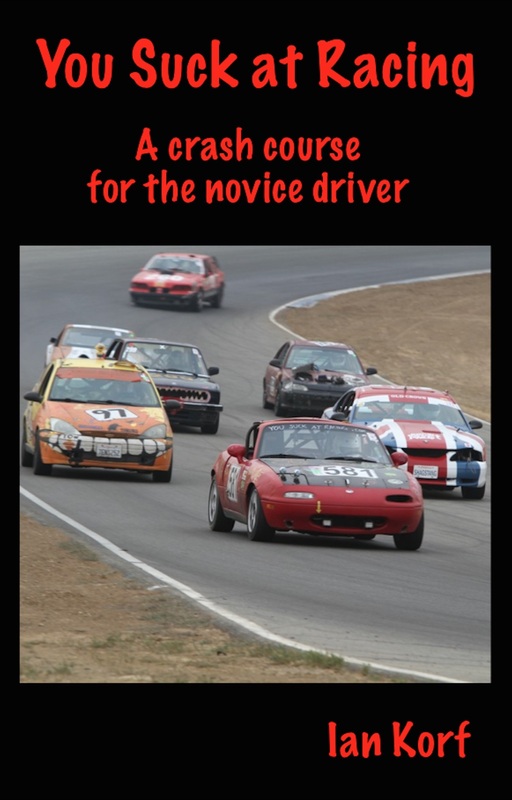 You set up the oversteer the same way: by moving weight to the front and side. However, throttle improves RWD oversteer and kills it in FWD. So you have to be patient and wait until the oversteer is mostly over before adding throttle. Here’s my thought process as I grab some FWD drift.